Talking to Parisian tailors this past week, it struck me how many clients push for lighter and lighter-weight cloths for their suits. In many ways, this can be misguided. First, as Julien de Luca pointed in the recent piece on Camps de Luca, the structure of a bespoke suit can only be reduced so far. Having a lighter cloth doesn’t make much difference beyond a certain point, and risks being disproportional to the canvas and so on. Second, you can wear far more clothes than you think. In warm weather it seems crazy to some people to wear a jacket and long socks, but you get used to it surprisingly quickly. Wool breathes extremely well, as the British Cool Wool campaign would tell you, or indeed makers of sportswear like Rapha. The socks should be cotton, though. Indeed, it is not necessarily the most intelligent thing to remove all your clothes when it gets hot. The skin heats up quickly in direct sunlight and can be much cooler under the shade of a suit’s sleeve or trouser leg. There’s a reason that traditional Arabic dress is not shorts and a T-shirt. Third, and possibly most important, heavier cloths look a lot better. They keep their shape, they drape better across your perfectly tailored form and they carry accessories more easily. Go for a 13oz suit, not an 11oz, for England most of the year round. Go for a heavier linen suit – the coolness is already in the cloth. And consider changing the weave to a hopsack or a fresco before you reduce the weight. Wear better suits. Wear heavier suits. You can follow the discussion on Wear heavier suits by entering your email address in the box below. You will then receive an email every time a new comment is added. These will also contain a link to a page where you can stop the alerts, and remove all of your related data from the site. I live in the tropics. What would be a good compromise weight or type of material for the climate? “There’s a reason that traditional Arabic dress is not shorts and a T-shirt.” – I beg to differ. Wouldn’t that be to protect oneself against the sun? Indeed, why do we wear T shirts and shorts in South East Asia? It’s for both reasons. Have you ever tried wearing, or better travelling in, a djellaba for instance? Anonymous wears t-shirts and shorts in Southeast Asia because he’s a tourist there. Those of us doing business wear long sleeve cotton dress shirts or batik prints for the reasons Simon mentioned. I had a double breasted suit made last year. Gray flannel chalkstripe, 13oz. My tailor said three other clients eyed it when it came in for the second fitting, and ordered versions for themselves. It wears beautifully. But not in August. As for travelling in a djellaba, unfortunately I fear what the reaction might be at airport security. Ha! Very true. Though I meant travelling as in backpacking – something I did a fair bit in the Middle East in my 20s. Will from ASW reckons light wool socks wear cooler than cotton. I wear wool socks the whole year. I got used to the idea during my year in the Army, where there are two kinds of socks provided: thick woolen ones with felted soles, and thicker woolen ones to be worn on top of the others for extra insulation during the winter. Wool socks breathe wonderfully and I find that they keep my feet drier than cotton. Furthermore, moist cotton becomes very harsh on the skin, which invites blisters if the shoes do not fit perfectly (which is often the case during warm summer days, when the feet swell). Wool socks slide harmlessly against the leather and effectively prevent such problems. As a final, devastating argument, wearing wool socks prevent smelly feet. I do agree that a heavier fabric drapes, and therefore looks, better. Alas, for those of us living in the tropics (Singapore in my case), a 13oz suit is simply not an option. Actually, merely wearing a jacket is not an option on most days, in a country where temperature rarely drops below 28 degrees and humidity is constantly 70%+. I must be one of the only persons on the island wearing long socks (an absolute sartorial must, in my view), but even that takes a toll on some days. I am having a suit being made in a 10oz H&S wool, that I will wear occasionally going to the office. I’ll see how that goes. There’s quite a diference between HK and Singapore. In HK, the temperature will drop to 10-15 degrees during the Winter, and would rarely exceed 25 degrees in Spring and Fall. So one can wear a jacket without a problem for most of the year. It never drops below 25 degrees here, and on most mornings, just wearing a shirt, it is soaked by the time I reach my bus stop. Which helps explain why HK has so much more style than Singapore. I see well dressed people in HK when I go there (after all, that’s where the Armoury is located, so they have no excuse), but very, very rarely in Singapore. It’s a bit of a stylistic desert here, although there are encouraging signs. Thanks Boris, I do remember it being pretty sticky. Glad to hear there are encouraging signs though! the difference between wearing a 200gr per meter (about Super 180) and your trasditional 300gr per meter fabrics (120) is immense when having to be in the tropics. i work around Jakarta, Singapore and other SEA capitals and even military style khaki’s can be too heavy. At sub 240gr per meter, the skill of the tailor must be higher, the cloth has a pleasant moisture wicking effect (to a light extent), it begins to resemble linen in lightness but still retains a formal enough for business look.As for dissonace with the canvas lining, again, that depends on the skill of the tailor. the guys you see walking around kitted out really nicely in Singapore are either superhuman or are wearing a very fine fabric because personally, walking on the street in anything above 150 super (preferably half lined) is going to reduce me to looking like a crumpled sweaty fabric meatball. While the weights are correct, I must remind that super numbers have little or nothing to do with cloth weights. However, if you want to make an ultra think and light cloth, high number might be needed to make that possible (we’re talking about 5-6 oz cloths now), but nothing prevents one to have a 18 oz Super 180. Actually, high super numbers made into a light cloth may easily be hotter than high twist, open weave heavier cloths. Frescos and hopsacks are my go-to:s if it is warm and I would absolutely skip any densely woven thinner wools that trap the moisture inside. Hi, I always have issue with suit trousers degrading on the crotch area due to playing rugby and therefore rubbing legs. I want to get a couple of suits made up but obviously I don’t want to spend a lot of money on suits when the trousers degrade. Any suggestions on specific work that can be done as part ofthe tailoring process or suggested oz of material which would cope better. It doesn’t help I am in Perth where the summer is 40 degrees plus for the most of summer. That’s certainly a difficult problem. You can use a heavier cloth (13oz+) and but in reinforcement inside the trousers, to at least minimise rubbing there. 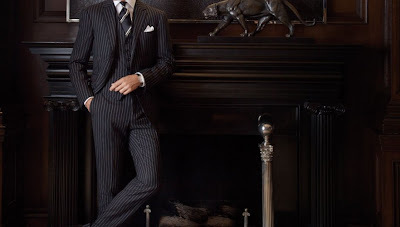 But you should also talk to a tailor about ways to adjust the cut to deal with the problem. RTW trousers won’t be cut for your build so there’s a chance they might be making the problem worse. It’s certainly worth trying one pair of bespoke trousers to see whether there are options to deal with the issue. Hi Simon, thanks for creating such a great compendium of knowledge on tailoring. I’ve been scouring the site for a few days now trying to get myself ready for my first bespoke suit. I’m very keen to have a bespoke suit for my wedding in July. As I have a wedding to fund and guests to feed! My budget is limited, I cannot afford savile row prices. After reading your article on Huddersfield mills I started to do some research on if there where any tailors in the area that had good relationships with the mills/merchants. I eventually found Carl Stuart who are based right in the heart of textile country. After speaking with them and doing further research it looks like these are the chaps for me. Their production facility is right across the road from their shop and looks to be large enough scale that they know what they are doing. It will be summer when I’m wearing the suit but will try to go as heavy as possible with the fabric. Will try to go with no lining in the jacket to keep the layers down – assuming their work is good enough to be on show. Will also take into account your comments around waistcoats as I assume my jacket will be off after the ceremony and dinner. What are the main things I should be looking out for to make sure I get the very best out of my tailor and to push them on quality detailing? That sounds good Gareth, and I agree with pretty much all your choices. It might be worth sticking with a lining, particularly if you want it to be quite formal for the wedding, but up to you. The question is a pretty big one. Fit will be the main thing, but there’s plenty on the site on that. As to detailing, I think just make sure they know that you are looking for nice buttonholes and so on – that that is important to you. In the end, you’re not going to be able to get them to do much they don’t do as part of their normal work. Just make sure they understand that you care about that. Thanks for the quick reply and comments, I’ll let you know how I get on. Buonasera, in the process of having a blue fresco suit made up for the London summer. What weight fresco fabric would you recommend, Si? Hi Simon, I’ve experimented with heavier cloth for jacketing having a couple of things made up in 13oz cheviot wool. I don’t really feel that hot in it, but on removing I find the armpits get a little sweaty, the fact that bespoke tailors like to cut an armhole which fits right into the armpit makes matters worse I think. Now I do recall reading ages ago some internet experts on a blog I won’t mention LOL saying you get used to heavier cloths, is there any truth to this? Does the body get used to wearing warmer jackets and stop producing sweat which is both stinky and unpleasant! If not I have a bit of an issue with my bespoke commissions to date and may have to move to Moscow to save embarrassment! So if I feel less hot Simon will that mean that I won’t sweat as much? The problem is going inside when it’s cold as it is now in England, the rooms thermostats are turned right up! I may try experimenting with an undershirt, some type of vest, to act as a barrier despite it actually increasing layers! Do you sometimes get frustrated with wearing elegant tailored clothes Simon? I must admit I do sometimes think life would be easier if I just turned into a genetically dressed bloke, certainly would be a lot cheaper. I remember a line at the beginning of roetzels gentlemen book at the start of my aesthetic journey which said this is a hobby which will be expensive and take a great deal of time. He certainly wasn’t kidding. Should have take that war ing seriously! You will likely still sweat, yes. Life would certainly be easier. But then it would also be easier if we only ate fast food, didn’t travel and generally had no ambition about any area of our life…. Simon, do you have any views on Holland & Sherry’s wool/polyester blend (Portofino)? I need something for a Mediterranean mid-summer wedding and this promises to offer a holy grail of lightweight, breathable, durable and with good drape. Too good to be true? Personally, I would avoid it yes. Fair enough, thanks. It looks like a toss-up between crispaire and fresco then. Out of interest, if you were getting a first good summer suit, would you go navy or pale grey? I have settled on a navy Minnis fresco for a db suit that I am commissioning. It will be worn summer/spring. I can’t decide between 9/10 oz or to go for a heavier 14oz cloth. The weave seems to be more open with the increase in cloth weight. What would you advise? Also not sure weather to have the jacket fully lined. I am thinking about commissioning a navy chalk stripe in Hardy Minnis Classic II (13 oz). Do you think this is a good weight for a three season suit (all but summer)? It will be a bit heavier than my other suits and I am a little bit worried about the weight. 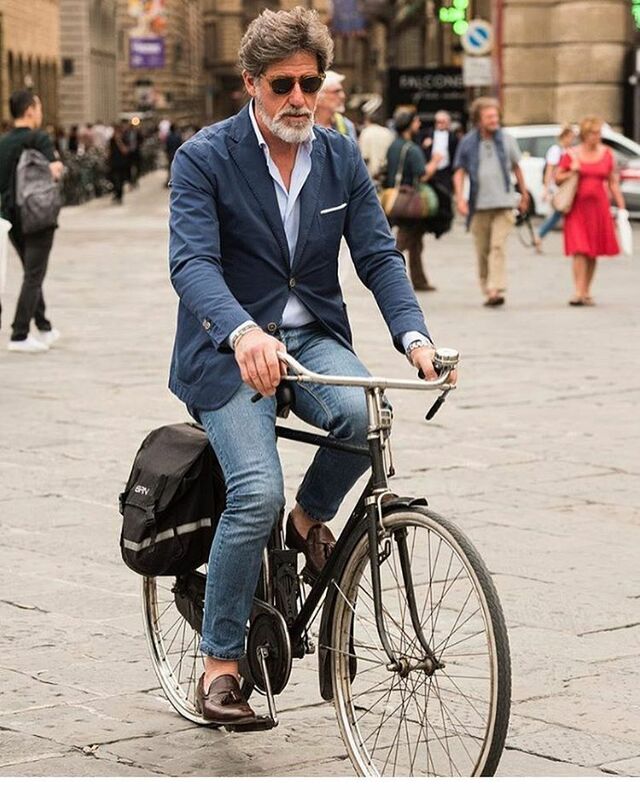 What do you think is the fabric and weight used for this blazer/sport coat on this Italian gentleman? I guess it’s brushed cotton in 5-6oz. Do you think 6oz is a good weight for cotton?